Discovering how Spells work can be a little bit disappointing for some people. As dedication, hard work and gaining knowledge and experience are what enable casting Spells that work. The ability of imagination and positive thought to bring things into being is one of the first principles of Magic. 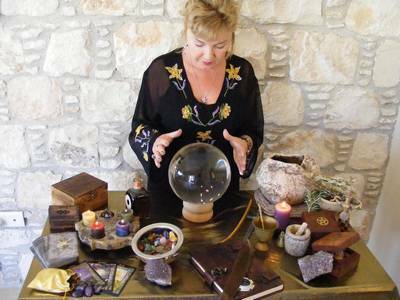 Spell casting is an ancient art, which utilises the powers of nature and the mind to bring about a desired effect. Specific combinations of natural elements draw specific energies. Along with all the hard work involved in casting Spells to manifest things you desire into reality there is so much to take into account. 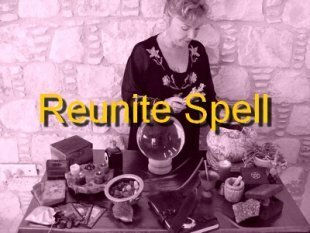 My whole website is dedicated to trying to understand all the factors that can possibly answer the question of how Spells work. A twitch of the nose or click of the fingers or muttering a few weird words is simply not enough for Spells that really work. Just like religion and understanding the Universe and how it works, there are more questions than answers. So faith and belief that a Spell will work is vitally important. If you obey the single most important Magical Law and the Universe allows it then your Spells will work. Quite simply you must have 100% faith and belief that your Spells will work. If you have the slightest doubt then you are doomed to failure. 100% Belief = 100% Positive Result. 99% Belief or below = Failure. A Spell that works best will have the least resistance against it. I'll give you a couple of examples of how Spells work. For example don’t cast a Love Spell or have one cast on your behalf and then lock yourself away in your bedroom where Love can’t find you. To attract love we must be able to love ourselves, because if we cannot, how can others love us. If we cannot love ourselves as we are, we must change. Magic will help us. In changing, we will become the sort of person that can attract the love that we want. A person who can give and embrace love in equal measure will attract love. Don’t cast a Money Spell or have one cast on your behalf and then spend all you have in a frenzy of expectation. Magic must have the room and freedom to work. It will manifest itself in ordinary but nevertheless, magical ways. Magic is not the appearance of material things amidst puffs of smoke before your very eyes. Magic will give you the ideas, actions and behaviours you need to enable you to get want you want in life. Make sure you go with the flow – don’t swim against the tide of energy that Spells create. To attract money and wealth we must become someone who already has plenty to give and offer the world. We must become rich in generosity and benevolence. To heal or be healed we must become the Healer. Be prepared to inspire and support others and you too will be inspired and supported. When casting a Spell I concentrate on and visualise the desired result wanted. How that desire is achieved is for the Spell to conjure, without harm to anyone. Spells can and do work in very unexpected ways. You should think of a Spell as a seed. A seed is a unit of consciousness that has a body, a charge and an intelligence which, given the proper conditions, will manifest itself into the world exerting an influence on the relevant subjects. Seeds are created, transmitted and earthed in order to achieve change – a change in one's world, life or identity. A Spell is a way of attracting energy and focusing it with your will to manifest change. 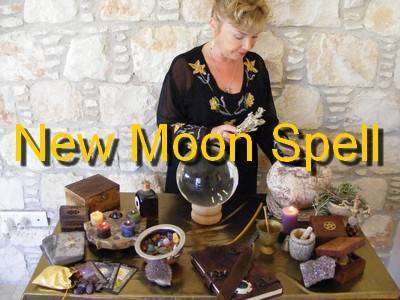 Once any Spell has been cast it is released and let go to the powers of the Universe. This is an essential aspect of the Spell casting process. Spells work on their own once they are cast.